A new cartoon for Allen's paper. This has been up over a week and still no comments? It deserves better. Think what it would be like if every state allowed thespians to marry! There were two comments here early on, & they somehow "disappeared." 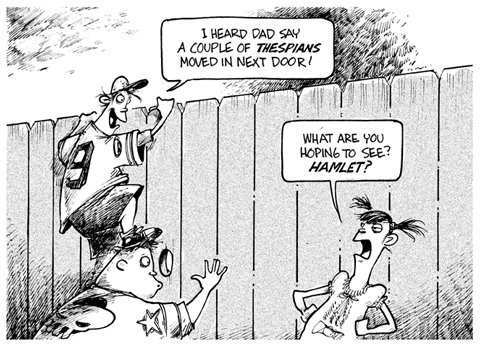 I thought thespians (at least those on the Left Coast & in the Great White Northeast) were pathological marriers. This page contains a single entry from the blog posted on May 17, 2008 11:20 AM.